Lynk & CO plans to start European sales of the 02 crossover in 2020. 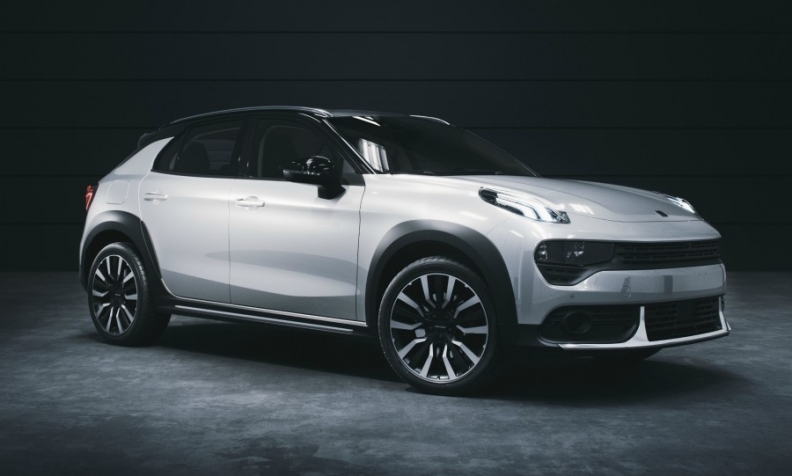 Several years ago, Andreas Nilsson was given a blank piece of paper to design the first models for Lynk & CO, a new brand planned by Volvo Cars' owner Zhejiang Geely Holding Group. "We needed to create something new and unique, with no history or heritage to rely on," Nilsson said. "There were no design guidelines; we had no brand recognition." The prospect was so exciting that Nilsson gave up his job as a design director at Volvo for the as-yet-unnamed brand. "It was very inspiring, but once you start sketching it’' not that easy. It was eye-opening about how difficult it is to create something unique from scratch," said Nilsson, who is Lynk & CO's head of design and a senior vice president at Geely. The results are out there for the automotive world to see. The Lynk 01 compact SUV is on sale in China, to be followed by the 02, a more sports-oriented crossover, and the 03, a compact sedan. The brand will be commercialized in Europe by early 2020, executives said in Amsterdam in March at the introduction of the 02. The company also plans to enter the North American market. Lynk & CO hopes to shake up the traditional retail and ownership model with a no-initial-payment subscription plan, no-haggle pricing, online shopping and software that facilitates car sharing. Other automakers, including Volvo, are also exploring subscriptions, as the industry diversifies into providing mobility in all its forms. "The main difference between Lynk and other brands is that we all sell cars but our objective is to sell mobility," said Alain Visser, Lynk & CO senior vice president. Nilsson and Lynk's designers had one mandate: Lynk & CO models could not look like Volvos, even though they would share the Compact Modular Architecture with the Volvo XC40 compact SUV, which was already in the design process. Nilsson and his team began roughing out the styling for the first Lynk model in August 2013. "We had great proportions but we realized it was very generic and not going the right way. So there was a major retake of the design," he said. Final selection for the 01 compact SUV took place in April 2014, and even as the deadline drew near, Nilsson said his team was still hard at work. "We were a little all over the place, and we realized that we needed to box this in and get something in order," he recalled. The resulting design language is distinguished by a contrast between solid, clean surfacing that reflects Lynk & CO's European roots and intricate surface details that nod to Asian culture. Nilsson calls this contrast "dark" -- "it's the spice to our brand," he said. Distinctive Lynk touches include a full-width band rather than a traditional grille and high "cat eye" headlights. At the rear, a horizontal black trim line echoes the front end. "We worked with a lot of different grilles, then we said, ‘Hang on, why do we need a grille'? Nilsson said. "We know the conventional grille will probably disappear in the future, so let's prepare a functional band. Whether it’s for an air intake or sensors, the future will tell." Lynk's interior design follows the same formula. The basic surfaces are clean and harmonious, with more complex forms for air vents, screens and other "interaction points," Nilsson said. "You can turn this dial up and down, the mix between the calmness and the busyness. We can go more 'gaming' for a younger audience, or calm it down for an older audience." European versions of the 01 will be produced at Volvo's factory in Ghent, Belgium, on the same line as the XC40. The plant has an annual capacity of 270,000 to 290,000 vehicles; current output is about 230,000, officials said during a recent a tour of the factory, which is preparing to start Lynk production in late 2019. "We have enough capacity to cope with the needs of Volvo, with the XC40, and enough capacity to cope with the Lynk & CO 01," said Javier Varela, Volvo's senior vice president for manufacturing and logistics. Lynk & CO's Visser said European production plans had not yet been decided for future Lynk models. The 01s for Europe will have electrified gasoline engines, starting with plug-in hybrid models, and eventually full-electric powertrains. Diesel engines are not planned. Although the 01 is Lynk & CO's first product, both for China and Europe, the 02 may have even greater potential, said Nilsson and Mats Fagerhag, the CEO of China Euro Vehicle Technology, Geely's Sweden-based engineering and product development center. "The 02 is a strong statement," Fagerhag said. For the 02, the 01 architecture was lowered 30mm, shortened and widened at the rear. The seating position is lower, but still higher than a sedan or hatchback. Nilsson said: "We've been pushing hard for this car because we really believe in it. China might be a rather conservative market, but not for long."